The tags are UHF/GPS tags that relay locations in real time to shore stations, and UHF/TDR tags that relay depth data in real time to shore stations. It is also proposed to use Vemco pingers on the seals which can be tracked by the PAM equipment on the turbine support structure. These pingers operate at a frequency of 180kHz, with one ping per second and a battery life of 131 days. This telemetry data should help inform how seals use the project area and therefore there sensitivity to collision or displacement from tidal turbine arrays. 10 tags deployed in Oct 2016 and a further 10 in Mar 2017. Tags transmit data until they fall off during the annual molt in August. 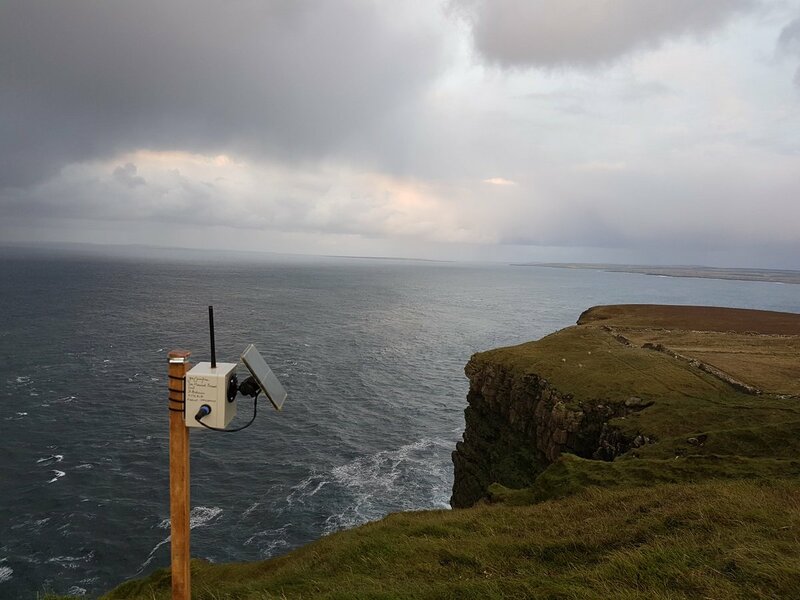 Pentland Firth MeyGen Harbour Seal Telemetry Data is located in United Kingdom.